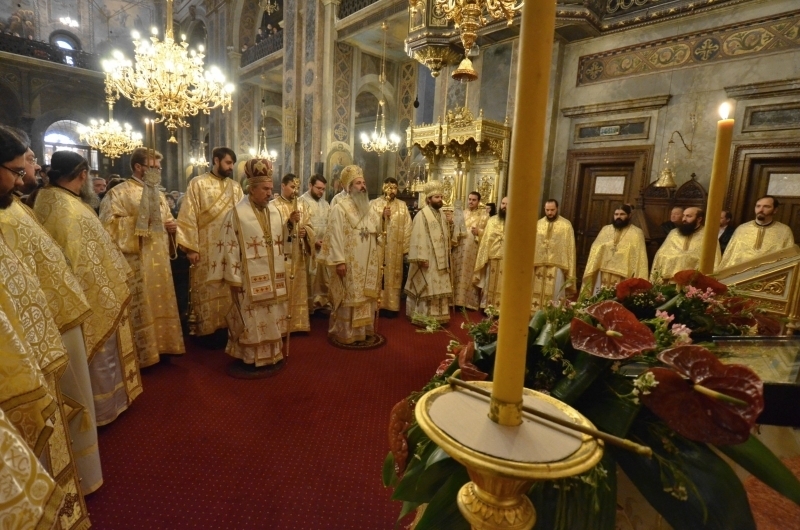 Jassy, Romania - His Grace Bishop Mitrophan took part in the annual pilgrimage to St. Paraskeva in Jassy, Romania on October 16, 2011. 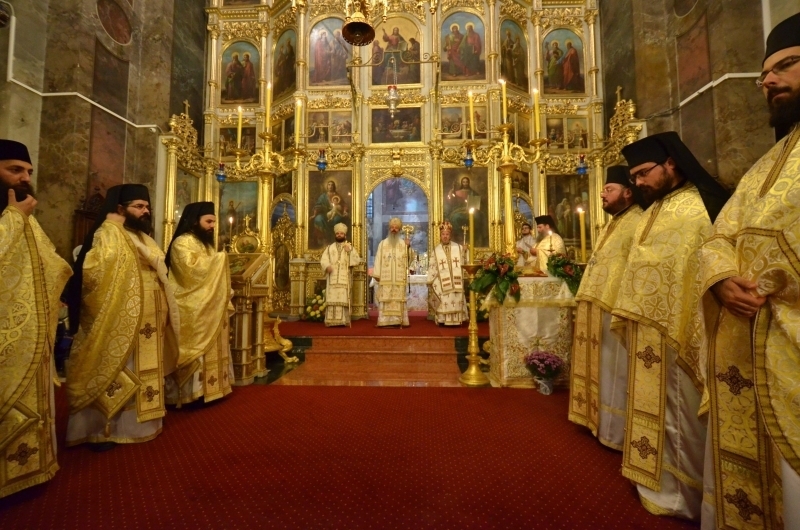 The service was officiated by His Eminence Theophan, Metropolitan of Moldavia and Bukovina, with the concelebration of His Grace Mitrophan Grace, Bishop Eastern America for the Serbian Orthodox Church His Grace Timothy Romanian Orthodox Episcopate of Spain and Portugal. 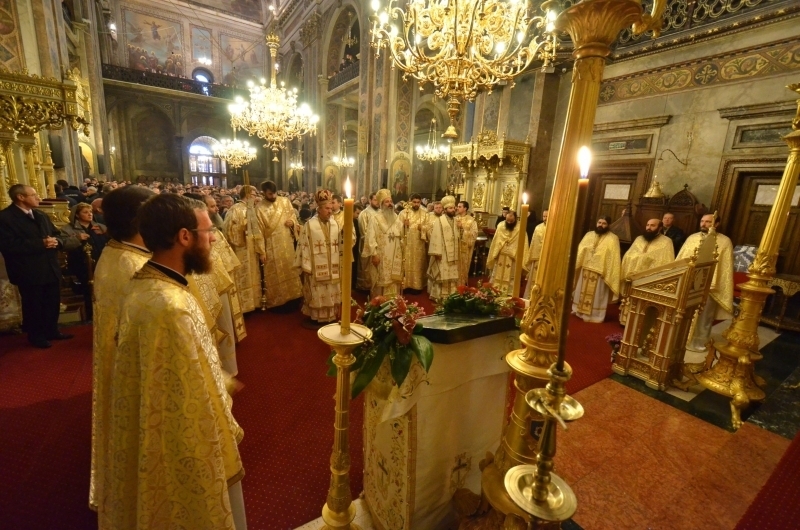 Following the gospel reading Bishop Mitrophan delivered the homily in Romanian. His Grace spoke to the faithful about the importance of reading, especially understanding the texts of Sacred Scripture: "Let's not forget dear faithful, the words of our Lord Jesus Christ who says, he who rejects Me and receives not My words has a judge to judge him: the words that I said, the same shall judge him on that day. As St. John Chrysostom says, all of our troubles come from our lack of knowledge of Holy Scripture." After the Divine Liturgy, His Grace Bishop asked Bishop Timothy to share a few words. He spoke of the love God shows to people through His saints, "saints and relics of saints are proof that God has not left us but is with us and that we search all the time as we heard in today's gospel. "